Jointflexer Herb Tea, with an excellent natural flavor, is made of wild dioscorea grown in the pollution-free forest of northeast China. Dioscorea contains trillin, diosgenin, etc. and is used in Chinese medicine mainly to maintain normal joint functions, to improve blood circulation in the limbs, and promote natural healing. 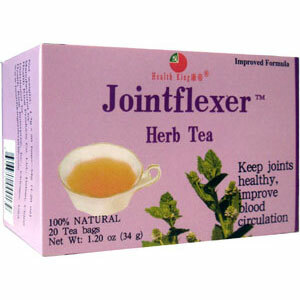 Maintain normal joint functions, to improve blood circulation in the limbs, and promote natural healing.